Last summer when I was in Portland, I met a teacher named Desi Pritchard, who helps develop curriculum for Bridges Middle School. This is a really cool school that works with kids who have “learning differences,” including ADHD. When I asked if her students wanted to contribute to #ADHDKidsRock, she said “YES”! This is exactly what I was hoping for is other kids sharing their stores here on this blog. One of my biggest struggles is my hyperactivity. It makes me really focused on things. It is where if I am focused on something, I become really focused on something and I don’t want to stop — I become really stubborn about it. If I was doing something and my parents tell me to stop, the transition is really hard for me. Once I stop, I am fine. It seems to be the worst in the morning before I take my medication. If I am brushing my teeth, putting in my contacts and putting on my socks, I can get lost in the middle and forget what I am doing. It takes forever! I get distracted and I forget what I am doing until my mom yells, then I remember. My mom and I are working on my taking my medication right away so I can get started earlier. I am a ski racer. I have been skiing since I was two. At first, the attention part of my ADHD was hard — if the coach was talking and I missed the information, I would have to do sit ups to make up for it. When I was younger, I complained. Now, I view it as a workout to help me ski better and I view it as a reason to listen. My mom explained to me that I could view it negatively or positively. It is all in how I view it. I use my ADHD hyper-focusing to help in my racing. When I go to the training race course, I become hyper-focused on what others are doing to win and I figure out how to do what they are doing. The realization that I could use my ADHD came from my family. When I was having a hard time and blaming my ADHD, they helped me see it is not a bad thing. I can use my ADHD for things I want to do. My ADHD is what makes me me. If I didn’t have ADHD, I would be a totally different person. When someone talks or thinks of ADHD, they often think “I can’t do this” or “I can’t do that.” I can tell you that is not true. 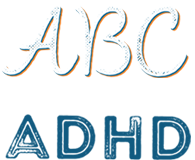 Have a growth mindset and view ADHD in a positive way. Bridges Middle School is an independent nonprofit school in Portland, Oregon that provides a highly creative and focused school setting for 5th – 8th grade students with learning differences.